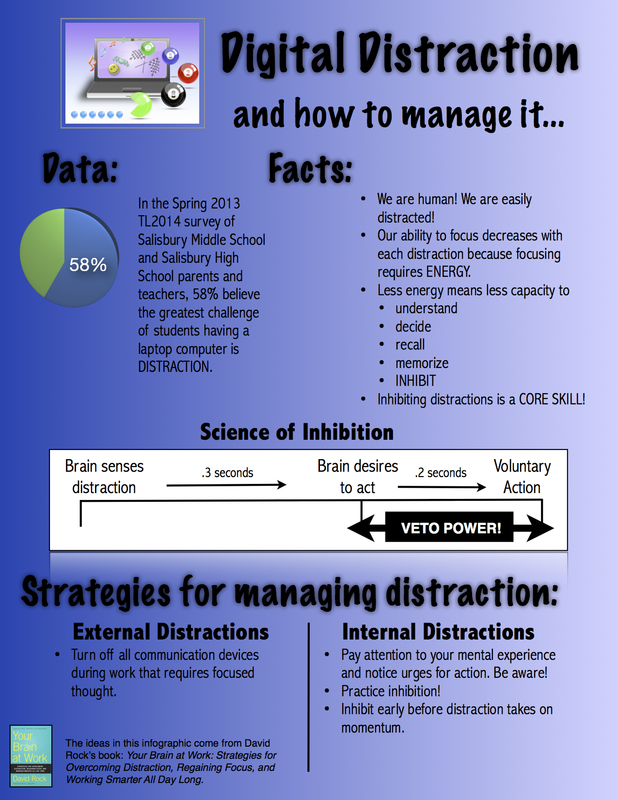 Over the past two years, I have become interested in how we address this challenge by learning about the topic of distraction in general. I have found a useful resource in David Rock’s book from 2009, Your Brain at Work: Strategies for Overcoming Distraction, Regaining Focus, and Working Smarter All Day Long. I really appreciate how the book connects ideas and strategies to actual brain science such as the science of inhibition, a necessary skill for the digital age. I found the ideas in Scene 4: Saying No To Distractions to be particularly interesting and relevant to our digital distraction challenge and have tried to represented them in the graphic below. 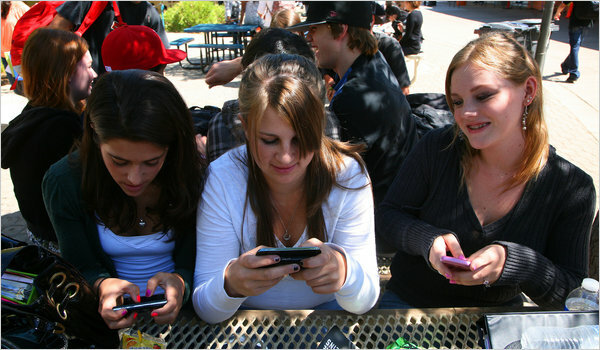 My major takeaway from studying the topic of digital distraction: Since we are a 1:1 laptop computer program where almost all students (grades 6-12) opt to take the computers home, all of us (parents, teachers and administrators) must take responsibility for teaching our children and students positive habits that mitigate digital distraction. As adults, how do we model the management of digital distraction in our own lives? I hope the graphic below is a positive contribution to the discussion. Please consider leaving a comment below!